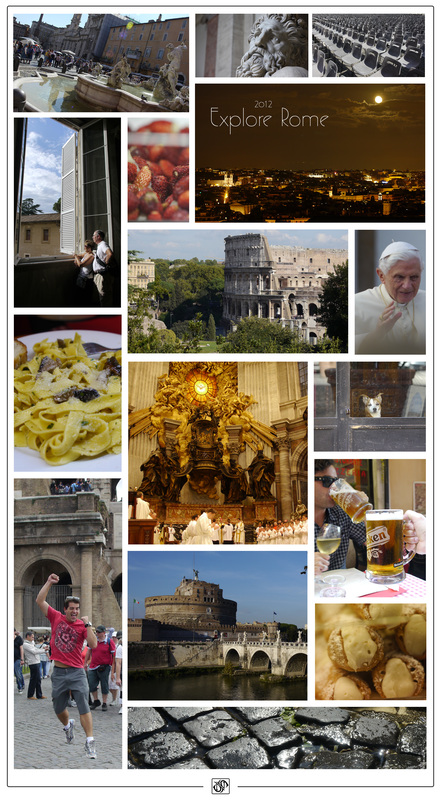 A year ago this week, my family and I embarked on a trip to Rome, Italy. My longtime friend since kindergarden, Joseph Laracy, was to be ordained to the diaconate in a ceremony held only once a year at Saint Peters Basilica. His generous invitation to have my family and I there along with his, truly brought about the most incredible experience we’ve ever known. As you may see from the videos below, I can be photographic magnet for small moments. I love design, color, texture and light. Being lucky enough to capture those moments gives me a thrilling challenge to tell a story… Push an emotion… Connect. Traveling to a historical landmark where its cultural fiber of art, architecture, religion, food, (the list builds quickly), lifestyle and attitude is still celebrated… makes for constant inspiration. As much as my words won’t do justice to these videos, these videos won’t do justice to the actual experience and charmed intrigue you feel while in Rome… but I got close! Here are my three souvenirs I took from Rome. Enjoy. A trip that everyone in the world should be lucky enough to experience at some point in their lives, regardless of their religious or spiritual belief system. Best Family trip of our lives so far..